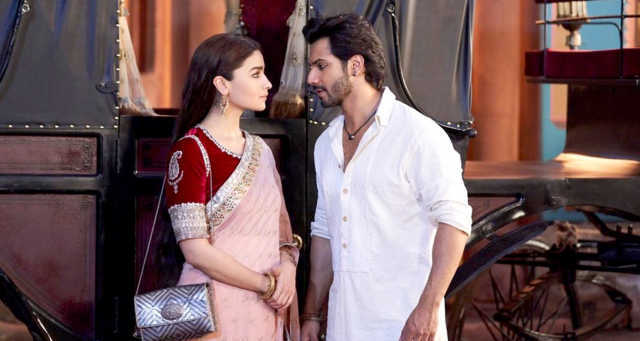 Does Abhishek Varman's Kalank borrow characters from Shauna Singh Baldwin's What The Body Remembers? While the author said she has not seen the film, the plot of Abhishek Varman's film shares similiarities in terms of premise and characters with Baldwin's novel published in 1999. Producer Karan Johar had described the upcoming Abhishek Varman film Kalank as one that has been in the making for a very long time. However, reports have now emerged suggesting a similarity between some of Kalank's characters and the film's premise with Shauna Singh Baldwin's 1999 novel, What The Body Remembers. Back in March, Karan Johar had introduced the film as a 'dream' that his father Yash Johar had conceived back in 2003. Karan said, "This story has been with Dharma for years now. It was my father who wanted to produce it. I think it was in 2003 when we were all set to go. The star cast was locked down, but for some reason it did not take off." The trailer of the film, which was released today, captures the story of Roop, Satya and Dev, caught in a turbulent marriage in the period leading to Partition. It is this similiarity that has caught the attention of watchful readers. One was quick to bring the issue up to Shauna Singh Baldwin, who is active on Twitter. Baldwin responded by saying that while she hadn't seen the film, she had read the introduction suggesting that Kalank was the story of three people in a polygamous marriage in pre-Partition India. While that might sound like a tenuous connection, the summary of Baldwin's book on the Penguin Random House website is a direct implication. The description is as follows: "Out of the rich culture of India and the brutal drama of the 1947 Partition comes this lush and eloquent debut novel about two women married to the same man. "Roop is a young girl whose mother has died and whose father is deep in debt. So she is elated to learn she is to become the second wife of a wealthy Sikh landowner in a union beneficial to both. For Sardarji’s first wife, Satya, has failed to bear him children. Roop believes that she and Satya, still very much in residence, will be friends. But the relationship between the older and younger woman is far more complex. And, as India lurches toward independence, Sardarji struggles to find his place amidst the drastic changes." The two key characters of Satya and Roop share their names with the characters of Sonakshi Sinha and Alia Bhatt in Abhishek Varman's film. While there is no mention of Zafar, the story's implication of the two being married to 'Sardarji' is also reflected in the trailer. The trailer depicts Aditya Roy Kapur's Dev being married to Alia Bhatt and Sonakshi Sinha's characters. Baldwin also confirmed that no one has purchased the film rights to What The Body Remembers. Despite the similarities, the author refused to suggest that the film's story has been lifted from her book. What The Body Remembers was published in 1999 and won the Commonwealth Writers Prize in 2000 for the Best Book in Canada and the Caribbean. 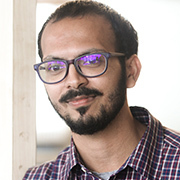 Kalank has been written by Shibani Bathija and Abhishek Varman. The film is scheduled to be released in theatres on 17 April. Cinestaan.com has reached out to Baldwin and awaits her response.